The Philippine military deployed thousands of extra troops on Tuesday to destroy an Islamic extremist group notorious for kidnapping foreigners, after 15 soldiers were killed, authorities said. President Rodrigo Duterte has ordered his security forces to wipe out the Abu Sayyaf, which has declared allegiance to the Islamic State group and recently beheaded two Canadian hostages. But an assault that began last week on the heavily forested island of Jolo, one of the Abu Sayyaf’s strongholds about 900 kilometres (550 miles) south of Manila, has met fierce resistance. 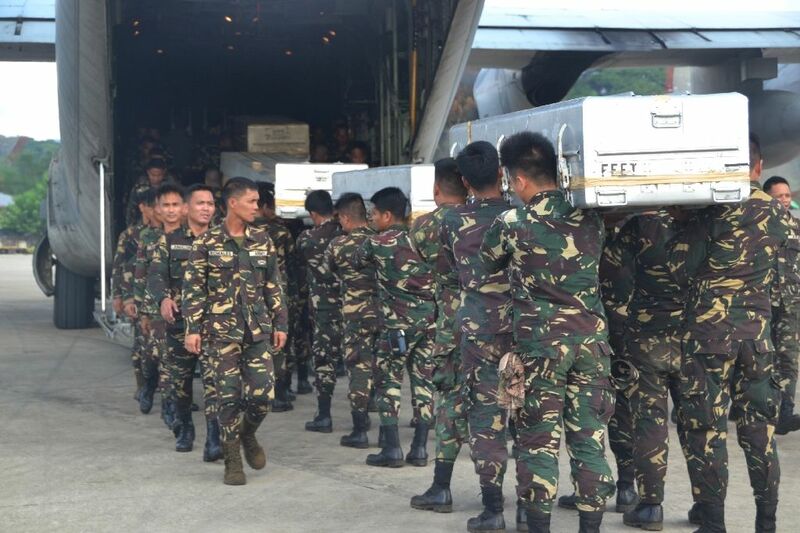 Fifteen troops were killed and another 10 were injured in a single encounter with the Abu Sayyaf on Monday, regional military spokesman Major Filemon Tan said. An additional 2,500 troops were on Tuesday deployed to Jolo and nearby islands, according to presidential spokesman Ernesto Abella. “The president is focused on making sure that the threat from the Abu Sayyaf group should be terminated as soon as possible,” Abella told reporters in Manila. Tan said the extra troops would join two brigades already involved in the fighting. He declined to give specific numbers, but there are at least 1,000 soldiers in a brigade. Tan said the military would be able to achieve the goal set by Duterte, but conceded the rough terrain and possible assistance from local Muslim residents were working to the Abu Sayyaf’s advantage. Duterte, who has been in office for two months, initially called on the Abu Sayyaf to lay down their arms but quickly adopted a tougher stance when his overtures were rejected. “Go out and destroy them. Kill whoever they are,” Duterte said last week, in reference to the Abu Sayyaf. The Abu Sayyaf is a loose network of a militants formed in the 1990s with seed money from Osama bin Laden’s Al-Qaeda network. It is based in remote Muslim populated southern islands of the mainly Catholic Philippines, and has earned millions of dollars from kidnappings-for-ransom. This year the militants beheaded two Canadians after their demands for millions of dollars in ransoms were rejected. The group is currently believed to be holding a Norwegian, a Dutchman and five Indonesian sailors, according to the military. Tan said the military estimated it was fighting about 480 militants, but there could be more. He said the army had killed 30 militants, although this was impossible to verify. Previous Philippine leaders made similar vows as Duterte to wipe out the Abu Sayyaf and failed, even with help from military ally the United States. Next → Next post: It’s 2016 and Progressivism should be alive and well except for one thing, The Rage Against The Machine.